Some of our most popular questions are “Is this material UV stable”, or “How long will this last in direct sunlight”, or something similar. These are great questions. Just look at the ‘cheap’ backyard furniture you bought last year, yep, it is faded and cracking. Why is that? The quick answer is the material had either no UV (Ultra Violet Light) stabilizer or very little. 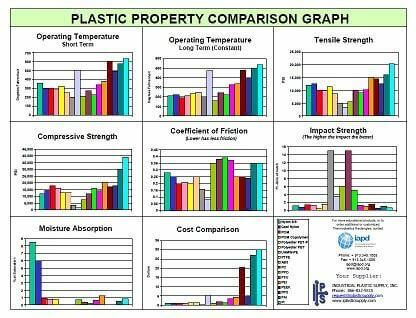 Most plastic materials are not UV stable to start with, other than Acrylic which is invisible to UV. All other materials need a little something to give it the protection it may need from the sun. Many plastic materials, if given the proper additives, can be used in direct sunlight for 10 – 15 years giving excellent performance. The first factor in picking such a material is the intended use. Not all materials are good candidates for all applications. While some materials will perform very well, others under the same conditions will fail. Please contact us for details on a material to meet your needs. 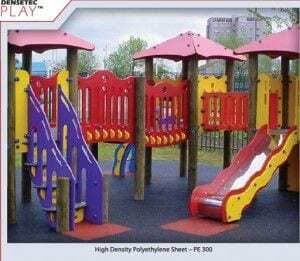 HDPE sheet is one of the best materials for long term outdoor use, if given the proper additives. Next time you drive by a children’s playground in your local city, look at the brightly colored panels used to make the play equipment. This is a HDPE sheet with heavy UV additives, and this makes an excellent application. Available in a rainbow of colors and able to be fabricated easily, this material is excellent for many outdoor applications. If your application is more mechanical, other materials that might be used would be: Polycarbonate, UHMW, ABS (especially with Korad cover), Acetal, Noryl and many more. Our standard Covestro Makrolon Polycarbonate is a UV stable material in sheet, and is frequently used in replacement glazing applications. The remaining materials on the list are available in Black (a carbon black pigment) which extends outdoor usage. While still not recommended for direct sunlight, they can be used with a good possibility of success – depending on design. Plastics can become brittle or lose properties over time if material does not have UV stabilization, with the proper material and the proper additives, you can get years of trouble free service.